Oxford Development Holdings, LLC is the development leg of Oxford Senior Living. Our development company acquires, develops and owns the communities within the Oxford Senior Living family. The broad range of our services, combined with extensive expertise, makes us a prime company for building value for our residents and their families, our employees and our partners. From the very beginning, we design each building and evaluate each acquisition with our residents in mind. 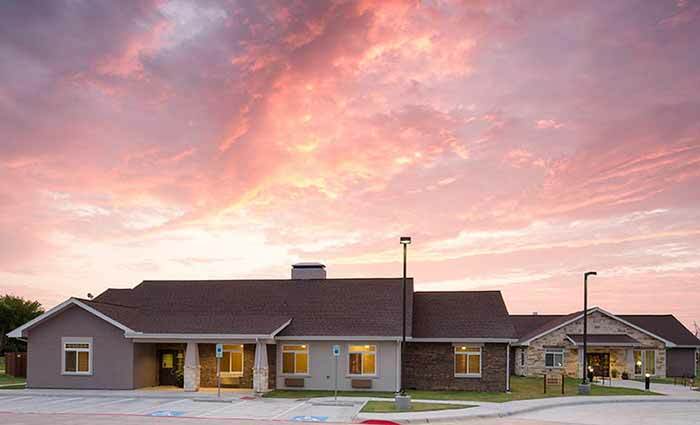 Sharing the core values of quality care and service to others with all Oxford affiliates, Oxford Development Holdings embodies the principles of stewardship and care of resources as they pertain to residents and their families, employees and partners. To deliver profits and growth to all investors through the acquisition and development of senior communities where we emphasize caring, service to others and happiness as the essential elements enjoyed by staff and residents. Contact us if you would like to discuss collaborating on an upcoming project. Oxford Senior Living expects to begin construction on two existing assisted living communities in 2018. The expansions of Oxford Glen Memory Care communities in Owasso, Okla. and Grand Prairie, Texas will each cost about $5 million. Construction will begin this summer on the Owasso property, just outside of Tulsa. The Grand Prairie expansion in the Dallas metroplex is expected to begin in late 2018. Plans for the Tulsa and Dallas area expansions are very similar. Each community will add 30 thousand square feet and up to 40 assisted living apartments plus a secure courtyard and additional amenities. LK Architecture is the architect.